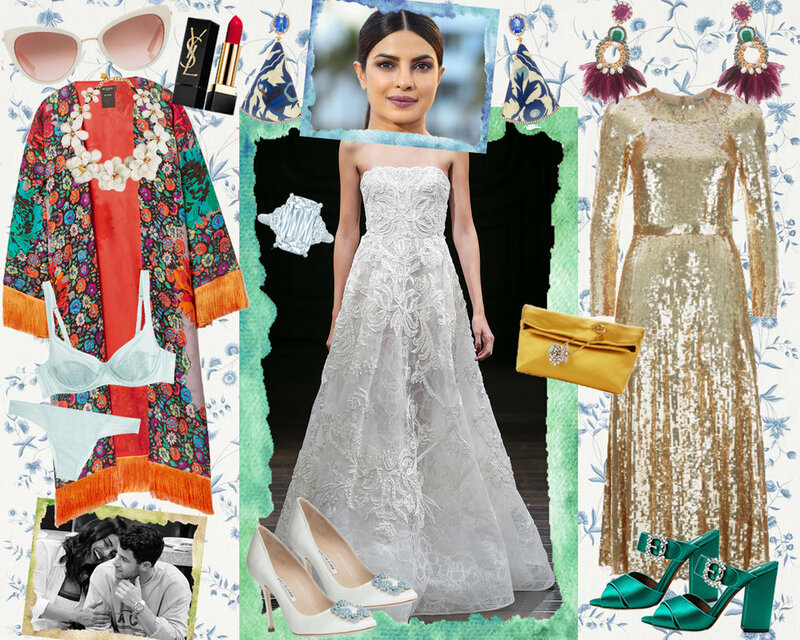 It seems like we’re experiencing a wave of celeb engagements as of late, so it’s only fitting that Over the Moon asked me to put my wedding thinking cap on and imagine what the ze stars’ wedding styles will be. I give you Ariana Grande, Priyanka Chopra, and Hailey Baldwin and their respective maybe-they’ll-wear-something-like-this looks, as styled by moi. I know I can't be making this up... and if memory serves me right, back in the day when I used to get drunk off wedding magazines, there were often engagement-ring personality quizzes - a'la if you're x, then you're a princess cut or if you're y, round's the shape for you. Gone are my days of wedding magazines (replaced by wedding websites), gone are the days of personality quizzes (by this point I should know), and gone are the days of wondering what my engagement ring will look like (yo-ho, yo-ho, an emerald-cut life for me). But I did my own form of creative reminiscing when Over the Moon asked me to put looks together inspired by different engagement ring styles. And here you have it. I need another pair of fun earrings like I need a hole in the head. 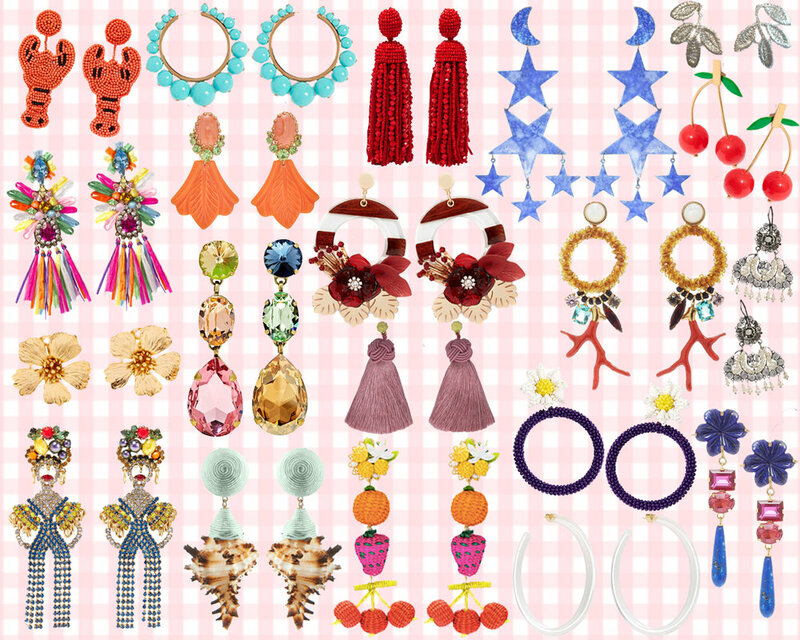 Big, colorful earrings are my weakness, so when Over the Moon asked me to pick my favorite summertime statement pieces, I went with my tried and true motto: the bigga, the betta. Spice up your earlobes, peoples. 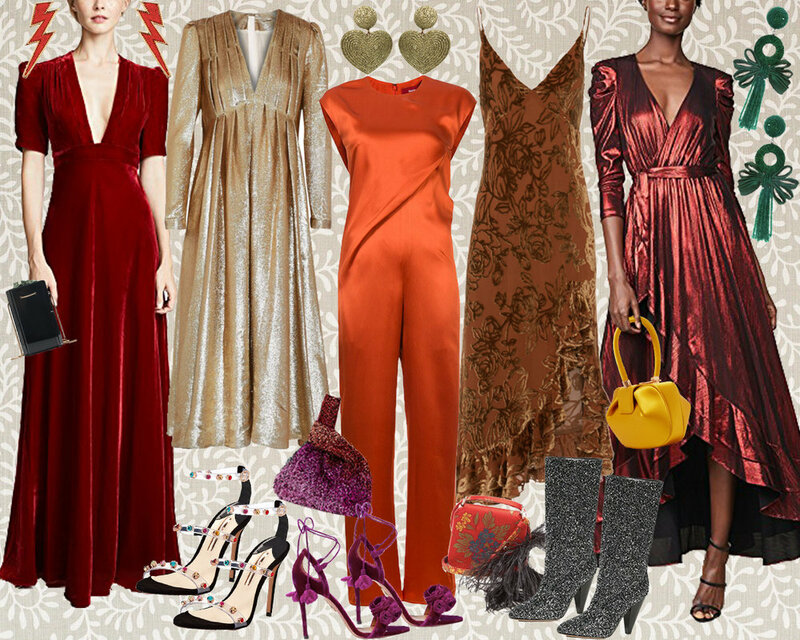 While summertime is the season (if there is one) to look like a walkin' talkin' rainbow, there's still the occasional moment that black calls your name from the closet, begging for a night out on the town. And now that it's officially August (what the what!? ), investing in some black is a wise transitional choice. 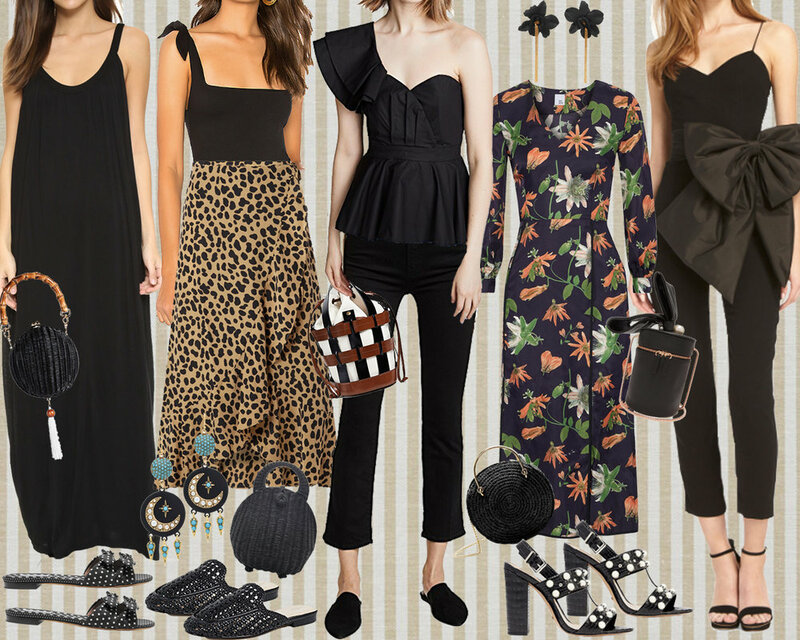 Which is why Over the Moon asked me to put together some dark looks that are just as appropriate for ze summer as they will be in a couple months. So paint it black, my peoples.